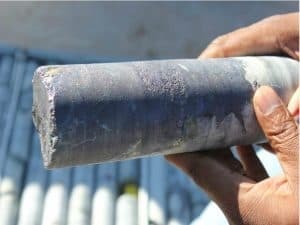 ASX/LSE -listed MOD Resources is shining a spotlight on the copper potential Botswana has to offer within the Kalahari Copper Belt. The Kalahari Copper Belt its similar geology to the copper-rich belt in Zambia and the Democratic Republic of Congo (DRC). With a fully funded exploration programme, the company is looking to move its project quickly into development and transition into a copper miner towards the end of 2020, MD, Jullian Hanna tells Laura Cornish. 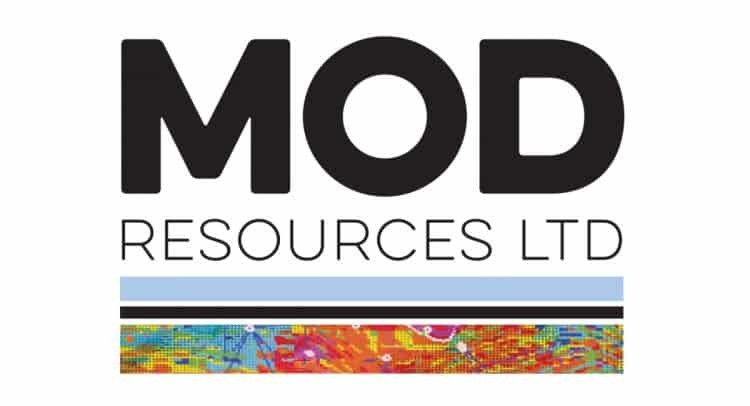 MOD Resources is no typical junior – for many reasons. Unlike many of its peers, the company has moved with incredible speed in advancing its copper/silver project – T3 – up the value curve. Having discovered the deposit after drilling its first hole in March 2016 (intersection was 52 m at 2% copper with a good mix of sulphides at shallow depth), the company is only two years away from producing first copper should it keep to its outlined schedule. The company is also one of the largest licence holders in Botswana and is a dominant explorer contributing to the development of the copper sector in the country, which most would consider one of Africa’s most investment-friendly jurisdictions. 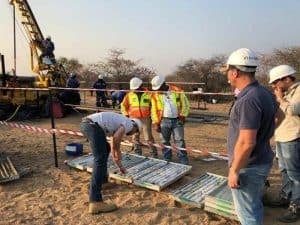 And so, with a rapidly expanding and successful track record in exploration in Botswana, the company is on the brink of taking another big step forward in distinguishing itself from the typical junior market as it has completed a dual listing on the main market of the London Stock Exchange (LSE). “The decision to list on the LSE represents an important strategic milestone for MOD and falls on the back of significant interest and appetite for copper with regional expansion opportunities in good jurisdictions – and MOD tick all three boxes. The LSE has a long history of successful listings of companies with African mining assets and we expect the listing to raise the profile of the company and open up access to a wider pool of investors,” says Hanna. The LSE Listing forms an important part of MOD Resources’ strategy ahead of the raising of construction finance for its T3 project. It positions the company for the next stage of its development by raising its international profile and facilitating the future participation of a broad spectrum of UK and European investors. This listing is not a requirement to raise equity capital as the company is already well funded. “The London market has a deep understanding of African natural resources projects and it is expected there will be strong interest in the company. “There are currently few opportunities on the LSE for UK and European investors seeking exposure to copper and MOD considers its T3 project and highly prospective exploration assets a compelling investment opportunity for the London market,” explains Hanna. The LSE Listing, MOD believes it will be the fifth largest London listed junior copper focused company. On the back of a total resource upgrade in July this year, the T3 project now comprises a confirmed 60 Mt resource at an average 1% copper grade. The planned pit being considered in the feasibility study extends no deeper than 220 m below surface and offers a low stripping ratio of about 4.5:1. Hanna explains that the T3 deposit sits within a defined copper “dome”, which falls within a larger T3 dome complex. 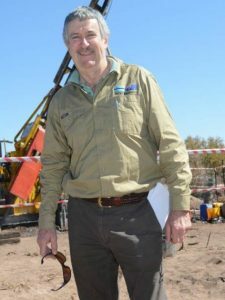 “We are looking to complete the feasibility study by March 2019 from which we will make the decision to mine. “This will see us then apply for a mining licence which we anticipate will be a reasonably straight forward process,” Hanna notes. It is estimated to cost between US$180 – 200 million to develop the open pit operation, process plant and supporting infrastructure. Once funding is finalised, construction should start in 2019 and take the project into first production at the end of 2020. The project is also logistically sound Hanna reveals. Local power utility Botswana Power Corp. has committed to installing grid power into the region towards the middle of 2020. MOD Resources will be able to tap into this power and build the necessary power access to site about 12 km away. The company is also actively involved in working with communities in Ghanzi and has established a community relations office in the local mall which has significantly raised its profile in the district. MOD Resources is also already actively engaged in training local residents and anticipates employing around 700 people from across Botswana during the construction phase. And while Hanna shows preference for outsourcing both mining and process plant activities once operational, MOD will again require local recruitment with guidance from global experts. Additional exploration across certain areas within MOD Resources’ 11 500 km² landholding has confirmed a number of domes similar to the T3 deposit which could add significant production capacity and lifespan extensions in the longer term should they contain copper as the T3 deposit does. And while bringing T3 into production is the primary focus, the company remains an active explorer and is currently operating up to 10 drill rigs across the T3 dome complex – which alone stretches for around 50 km – and comprises several other domes which are also close to surface. The company has already confirmed strong mineralisation (52 m at 1.5% copper) at the A4 dome, situated 8 km west of the T3 deposit. “Ultimately, we want to uncover various satellite resources in close proximity to the T3 mine from which we can transport ore to what could become the central processing plant. We are determined to lift the lid on the greater potential within our licence,” Hanna concludes.